Whether he was staying up past his bedtime to listen in on the action, or readying to help the Montreal Canadiens launch their Stanley Cup bid, Daniel Briere still can’t get enough of playoff hockey. He had been tucked in, the lights were off, and had school in the morning. But, for a young hockey fan, sleep could wait – at least for a little while. Now, the 36-year-old, in his first season with the Canadiens, is putting his wealth of NHL playoff experience, 112 games, to be specific, to good use. Briere was brilliant in Montreal’s four-game sweep of Tampa in their first-round matchup, a constant offensive threat throughout the series. Not surprisingly, there was plenty of hockey talk when Briere and teammate David Desharnais went out for dinner two days before they faced-off against the Lightning. The native of Gatineau, Que., and his fellow Habs, aren’t the only ones pumped about the playoffs. There’s no doubt Briere can be an impact player at this time of the year. In 2009-10, the forward recorded 30 points in 23 games when Philadelphia made it to the Stanley Cup final. He netted 22 points in 22 games over the following two post-seasons, highlighted by 15 goals. 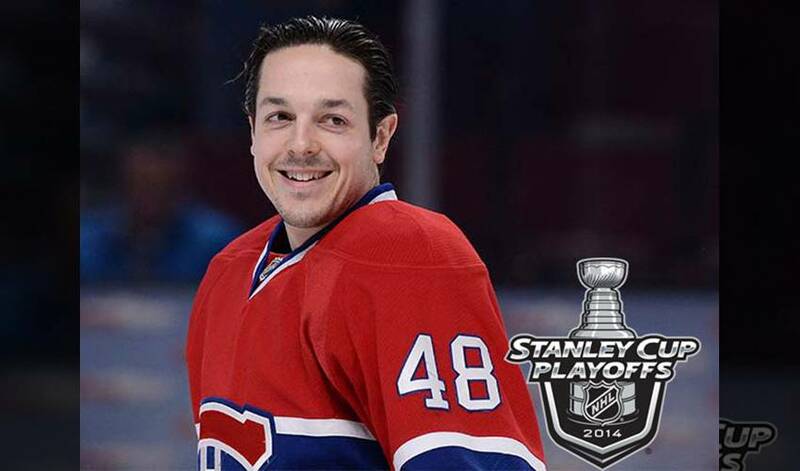 And when the Habs aren’t playing, Briere is keeping close tabs on the other series. These days, though, Briere doesn’t have to sneak around to catch the action. No. 48 is front and centre.